Being successful in the world of online gaming is tied to many factors - luck, experience, having a good strategy, playing games that offer a better house edge, etc. 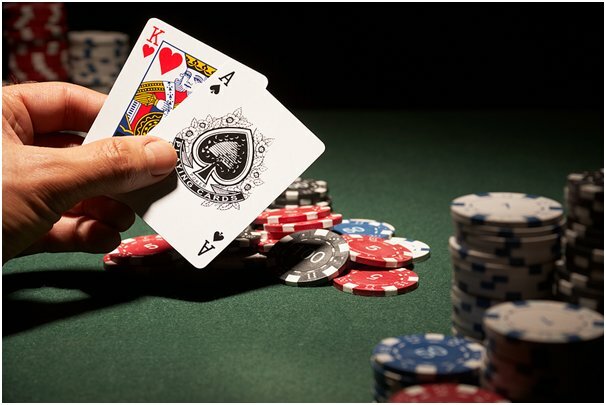 Having the option of playing at an online casino whose games have a lower house edge percentage means you can adopt a good strategy which can help you gain the advantage over the casino. This is all speculative for sure since luck does play a role, however it is always better to stick to those games that will increase your chances of winning with every bet. Here is a list of the 5 best and 5 worst picks when it comes to online gaming, and their inclination towards the house's edge. This is the only game (possibly in existence) that actually has a player edge of 0.77%! Yes, you read that right. When playing this variant of video poker you are given a very small edge if you adopt a certain strategy which usually involves a video poker machine which pays a natural royals at 800 to 1, four deuces at 200 to 1, wild royals at 25 to 1 and so on. The idea is that if you play long enough and with the correct strategy you will end up winning more than you are losing. All right, you knew this one was going to be on the list (and its variants). It is the game that in theory offers the lowest possible house edge which is equal to 0.28%. We are talking of course about a version of blackjack which has the most liberal house rules like the dealer standing on soft 17. You need not know rocket science to try this out - the very basic strategy for playing the game is sufficient. This is a great and very fun variant of the popular card game that is played with a standard deck that is missing the 10s. Why Spanish 21 has such a low house edge of only 0.4 stems from the fact that unlike the basic game, the strategy involved for beating the house in the long run is rather complex. With a house edge of 0.46% this is one video poker variant which is excellent across the board for both newcomers and veteran players alike. How to spot the perfect house edge on a jacks or better video poker game - simply look for a pay-table that pays 9 to 1 for a full house and 6 to 1 on a flush. Betting on the banker is the way to go when playing baccarat - with a house edge of just over 1%, this game will undoubtedly offer a better bet-to-payout ratio than most available out there. If you are familiar with the most popular version of this incredibly simple yet attractive game, you might have noticed that there is a wealth of different options for placing bets. However, don't be fooled by the flashy exterior and ton of options - there's another version of roulette that doubles its house edge by simply adding another 0 in the outcomes. That's right - the American version of the game carries a 5.26% house edge. If you are bent on playing for keeps, you best bet is the European version. The multimillion jackpots offered by progressive slot games are a huge factor for these slots' popularity. Unfortunately, what most players don't realize is that the house edge is often very high, with the percentage going as high as 12 - 15% per bet. This is arguably bad especially if you are in for the long haul. Craps actually has a pretty decent house edge for some of its bets like pass/come, odds 4 or 10, 5 or 9 and so on, however the later bets such as 2, 12 & all hard hops or any seven offer 13.89% and 16.67% house edge, respectively. So next time you want to get a bit fancier with your craps bets, make sure to avoid these ones. This simple edition of "wheel of fortune" is quite addicting and simple to just pick up and play. Basically, what you are doing is picking up a number that the wheel is going to land on, and the odds are pretty much the same as the number being bet on (if pick 4 then the payout is 4 to 1). With that being said, this game has some horrendous player advantages, with house edge going as high as 22.83% for a joker/logo. Ah, yes. The grand champion when it comes to giving an edge to the house, keno will often offer a house edge of around 25% which, while doubly less than the house edge of say a lottery, is still very high. 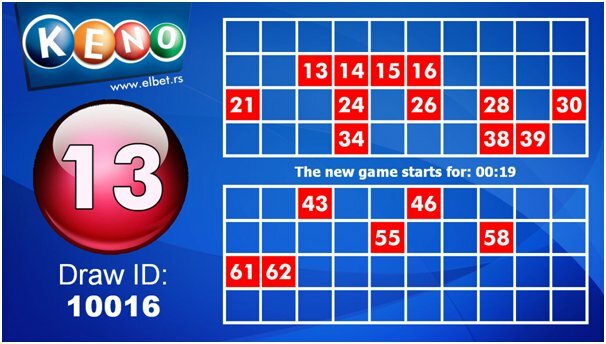 One redeeming factor about keno is that the pace of the game is rather slow so even if you place one bet per game you won't be losing that much in the long run. Try a leading online casino with an excellent variety of games.